None of the email marketing techniques are developed for the sake of being developed. They are all connected and using this connection can be to your advantage. After hours of looking and researching, you finally discover the perfect email campaign, one that will have your clients jumping at the opportunity to work with you. You polish up your email content and email templates and hit send. Then you wait, and wait, and wait some more, but there is nothing. You begin to wonder what went wrong after your seemingly perfect email campaign. Here is what went wrong! Your perfect content and well-designed email template is only one of many steps to a successful email campaign. This is where an email testing tool comes in. Think of it as a backup plan for checking how your emails are displayed on different devices and viewed by clients. You can't just send bulk emails without first testing for deliverability, spam score, preview, and verification. Customers will not hesitate to unsubscribe from an untested email that ends up with a broken link or formatting that is not bad on a computer but looks strange on a smartphone. This can lead to a bad reputation for your IP address, because customers soon grow weary of companies that are unprofessional enough to send bad email. In this advanced digital era, customers are on the lookout for Quality Assurance and Testing. To have optimised email marketing, you need to carefully manage issues and bugs found in software by utilising software testing tools. The main objective of any email marketing campaign is to send out optimised email campaigns that will boost inbox experience. Alongside your software testing tool, if you are a big company and you capture sensitive data, you may need to use a reputable email marketing company that provides compliance certification and guarantees web security such as Domains4Less Hosting, Open Host, HostGator, and other email hosting providers. There are different categories of testing tools. These include spam score testing, email previews, email verification and subject line testing. 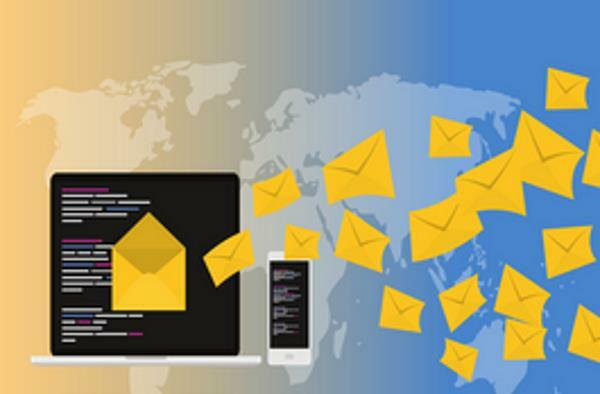 These tools help you to understand what happens to your mails after you hit the send button, you can preview mail before sending it to your clients, build an effective subject line and also prevent your email from ending up in spam folders or blocked. Preview tools help you to see the look of your email before you send it. It is important to use a quality tool to preview the messages you create, because an email that looks okay in Yahoo mail, may be unreadable in Outlook and a message formatted for a computer might look messy on an iPhone 7. Regardless of the preview tools you choose, it is essential that you look at all your marketing emails through the eyes of your clients. Although Putsmail was acquired by Litmus a couple of years ago, it still provides a free email sender tool, which allows you to send HTML emails to multiple email addresses. This is a great preview tool that allows you to check your email compatibility in more than 70 email clients and devices, from Outlook on a PC to browser-based services like Gmail and Yahoo! Mail. This preview tool provides you with a 7-day free trial so you can preview your email campaign and it also allows you to check out your template in some really exotic email clients such as Yandex.ru or Orange.fr. Litmus is the biggest and most popular name in the email rendering tests. This preview tool allows you to test all your emails and ensure they are compatible across multiple email clients before they are sent, although, you will have to subscribe to their paid packages to enjoy their full package. Email checker is one of the world’s leading and oldest email verification checking tools, providing detailed integration documentation for Python, Java, C# and PHP. They have multiple tiers of service offerings, something to fit all budgets. This is an email verification service that offers you a free trial period for bulk email verification. BulkEmailVerifier is another leading email validating tool that allows you to safely verify all your emails quickly. You don’t even need to install the service, you just have to log in and it automatically starts to remove all the dead emails from your subscriber list. These testing tools work on optimising your subject line by gathering data from previous emails. Touchstone is a powerful testing tool that allows you test your subject lines virtually in real time. It also uses a propriety algorithm to predict likely open, click and bounce rates for the subject line you want, as well as comparing the analysis against 21 billion emails as trends in your business field. SubjectLine assesses your subject lines based on 3 billion+ email messages that has been sent and tracked via its partner clients and shows you what will generate higher response rates and improved inbox deliverability. Subject Line Keywords Checker allows you to view how particular keywords in subject lines perform in different industries. The whole point of a spam score test is to ensure that all your email outreach actually reaches the inbox of your clients without being shuffled into a spam folder or blocked by tools such as SpamAssasine. It considers blacklist record, SPF record, keywords and DKIM. Google search can assist you in easily finding several services that offer free tools or a free trial to check spam score. Your test results will then determine if there is any need for you to make any changes to your content so it does not end up in the spam folder. You can take a step further with inbox placement or seed testing to see exactly how your emails will be delivered across different ISPs and email clients. Email on Acid has a spam check feature that checks emails against spam filters and blacklist services when you subscribe for the whole platform. This is another free tool that provides you information about whether your email may go to a spam folder or if there was a potential issue with your content or code. Mail Tester is a free spam testing tool that checks your spam score by calculating your spam score based on whether you are blacklisted or not, DKIM, your SPF record and keywords in your letter. An email with a good subject line and that looks great on both PCs and smartphones stands a better chance of good open rate. Providing content that is easy to read and attractive to see together with a software testing tool, is the key to a very successful email campaign.